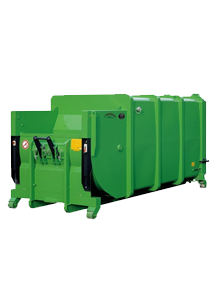 Our high quality balers have been designed for you, the end user, they are simple to use and very efficient, with a quick return plate for ease and speed of operation. The combination of many years of knowledge and practical experience in waste management is a potent force. We are extremely proud of our clients and of their commitment to conserve our environment when possible. We absolutely work together in long-term relationships with our clients cementing a core belief that we are doing something extremely special together. 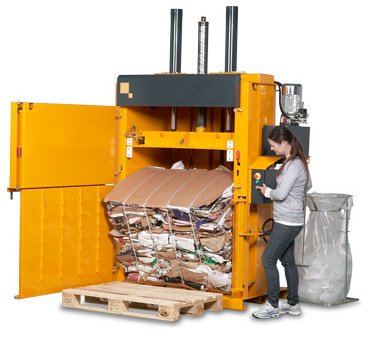 It is always our goal to provide tangible cost savings and recycle where possible, but we always provide unbiased and practical solutions whatever the financial outcome for Enviro-waste. Enviro-Waste provides you with expert and independent waste management consultancy. 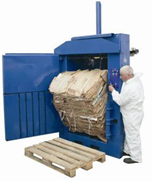 It is critical you get professional and up-to-date advice about your waste processes, equipment, and policies from an impartial source. Your waste carrier may aim to maintain high charges by not reducing your waste volumes: this is a very commonly found conflict of interest, so their advice can be suspect. When you talk to an Enviro-Waste consultant we work for you and your organization only. Our mission is to make a huge difference to your efficiency, thereby improving your organization’s environmental impact and substantially reducing waste disposal costs. We also consult on documentation, metrics, and training issues around commercial waste management. We often begin waste consulting by organizing a waste and environmental audit at your site(s). Keeping abreast of new products and ever changing legislations is difficult and time consuming. We work closely with our clients to ensure that we are keeping them fully up to speed with all relevant changes and providing them with pertinent recommendations ahead of incoming legislation changes if appropriate. Food waste comprises up to 80% liquid and can be extremely costly to dispose of. 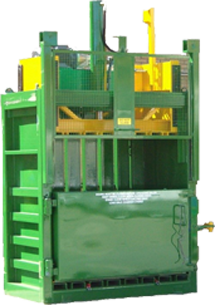 Waste Station grinds the food waste into fine particles, these particles feed directly into the built - in dewatering system. Through centrifugal action, the Waste Station forces out the excess liquid from the macerated waste. This “grey water” is fed directly to drain, the resulting solid fraction of the food waste is collected in small, easily managed, lidded bins, ready for onward processing. 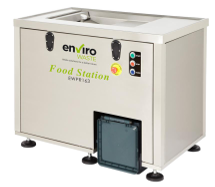 Designed with ease of use in mind the Food Waste Station will help you to reduce costs, unwanted food smells and show of your green credentials.